The Nightmare On Elm Street franchise has proven as hard to kill off as its iconic villain, Freddy Krueger. New Line Cinema was already home to multiple sequels, a stand-alone film, and a crossover into Friday The 13th territory before the studio rebooted the series in 2010. Despite the disappointing result, New Line is determined to crank out another Freddy film—the studio reportedly has another reboot was in the works. But according to original-recipe-Freddy, Robert Englund, the studio won’t go back to the beginning again. Speaking with Red Carpet News, Englund said it wouldn’t make sense for New Line to remake the original film yet again. The actor has heard rumors that the studio recently contacted Tuesday Knight—who took over for Patricia Arquette as Kristen Parker in Dream Warriors—about appearing in the new film. So Englund speculated that New Line will remake Dream Warriors, the third installment in the series, in part because it was the most successful. In keeping with the franchise’s winking self-awareness, Englund suggested casting Knight to play her former character’s mother, presumably because it would be fun to star in remake where you have a substantially smaller role than in the original. 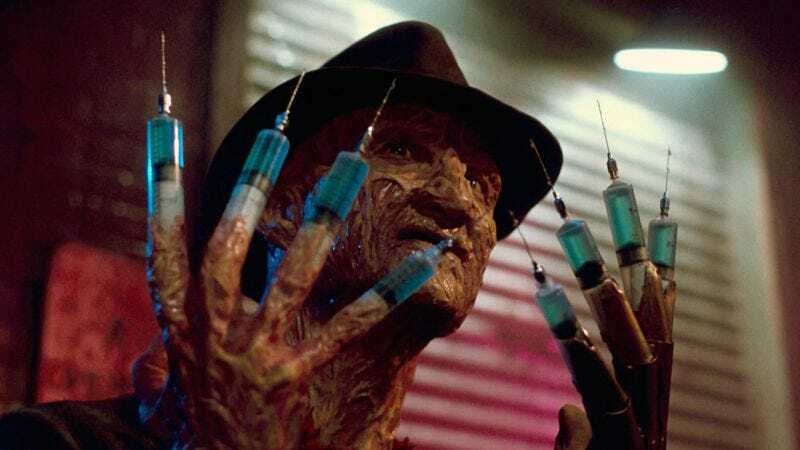 Englund also said that while he couldn’t return as Freddy, he could possibly play an “elderly dream expert” who helps the institutionalized teens take control of their nightmares. Englund stopped short of dreaming up a role for former Final Girl Heather Langenkamp or any other Elm Street veterans. Dream Warriors followed the “Freddy in a fugue state” film that was A Nightmare On Elm Street 2: Freddy’s Revenge. The late Wes Craven, architect of the house that Freddy built, actually wrote the first script for Dream Warriors. His film would have been much darker than the final product, which marked the switch to a sillier, punnier Freddy. But Craven’s script lacked this amazing transformation, so maybe things turned out for the best (they really didn’t).